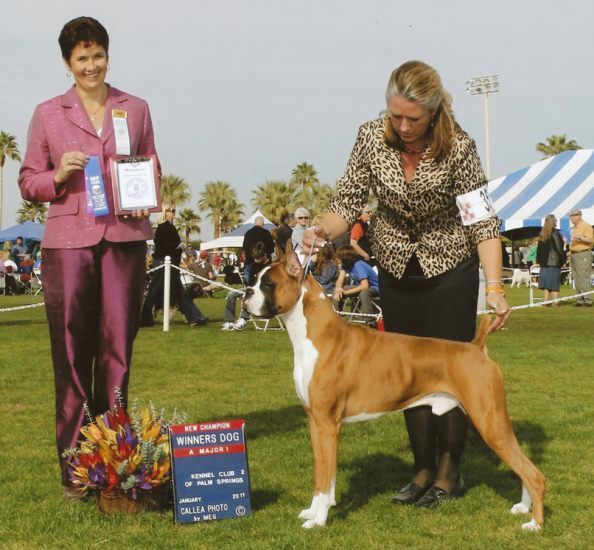 PawPrint Boxers - Toby becomes a new American Champion !! Champion PawPrint Time For A Boi Toi - "TOBY"
Toby and Team Bettis got it done all the way into the winner's circle. I cannot express my gratitude at their faith and efforts on behalf of this sweet boy. Genie and Doug Hawkins have the joy of watching their first Champion finish at a very prestigious venue. Toby is Champion #14 for PawPrint Boxers.